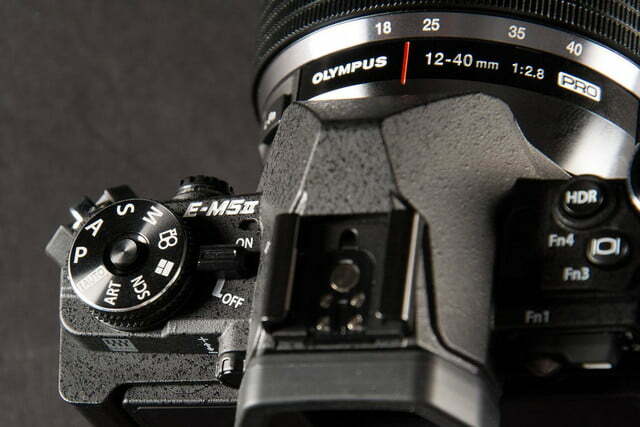 Existing Olympus Micro Four Thirds owners should upgrade to the E-M5 Mark II, while new buyers should put it on the shortlist. It’s that excellent. 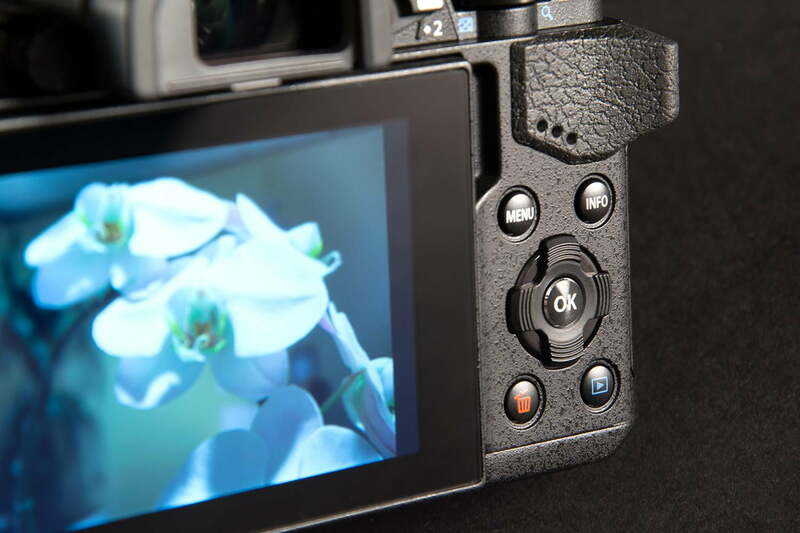 Olympus has enhanced its popular 16-megapixel, weather-resistant OM-D E-M5 Micro Four Thirds (MFT) mirrorless camera with an excellent new edition that shoots better video, and has a special 40-megapixel still photo setting, Wi-Fi, and a number of other goodies. With a list price of more than $2,000 if you include a 12-40mm lens (the camera is sold body-only for $1,099), however, we have to ask ourselves: Do the new features justify the price? We think so, but the price puts it in competition with many heavy-hitting cameras from other brands. 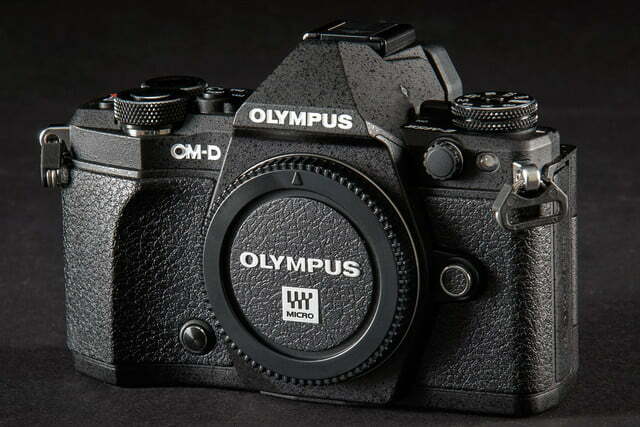 We have to take issue with Olympus for the Mark II designation: We’re getting tired of all the new Mark IIs and IIIs arriving from Sony, Canon, and others. 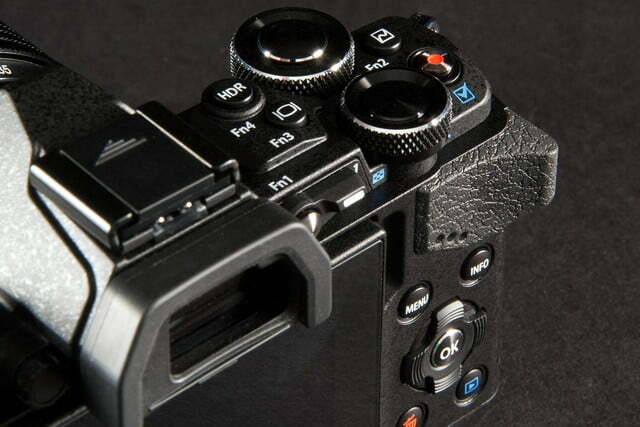 Compared to its predecessor, there’s definitely a lot more to this new camera than a simple Mark II designation. 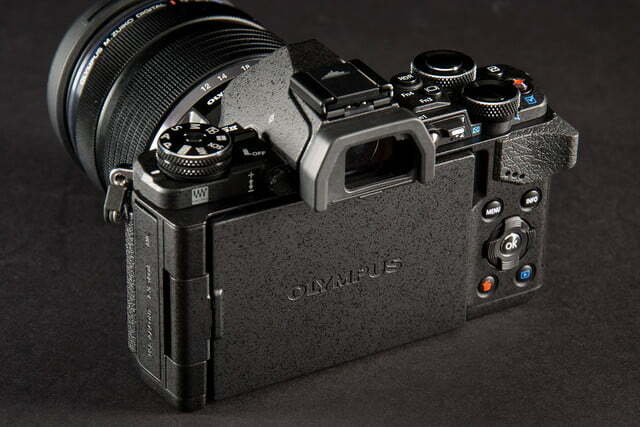 Olympus should have given it a new name, like M6 perhaps. 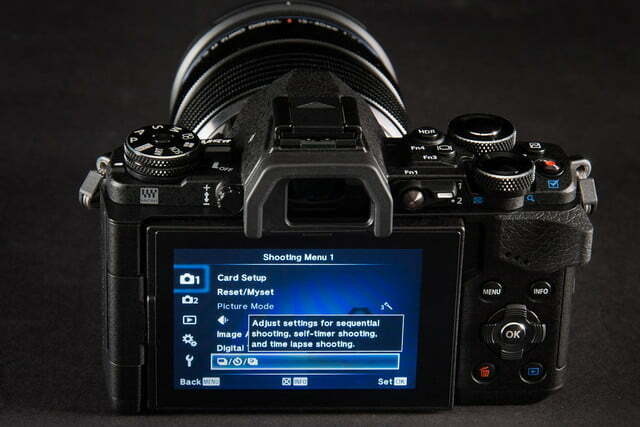 The E-M5 Mark II looks similar to the original, but there are some big changes – particularly along the top deck, and especially the imaging innards (more in the Performance section below). 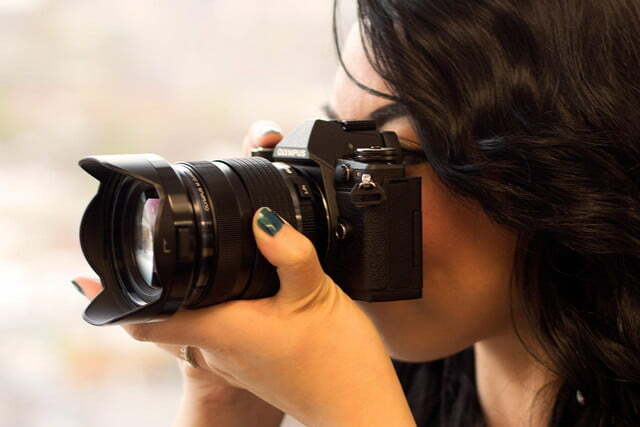 Design wise, it looks like a classic interchangeable lens camera (ILC) and is available in all-black or silver-black configurations (our review sample was all-black). The body has a nice textured finish and a large thumb-rest on the back. We found the grip a bit small (short) but you have to do your own hands-on. The unit measures 4.9 x 3.4 x 1.8 inches and weighs slightly more than a pound (body only, with battery). 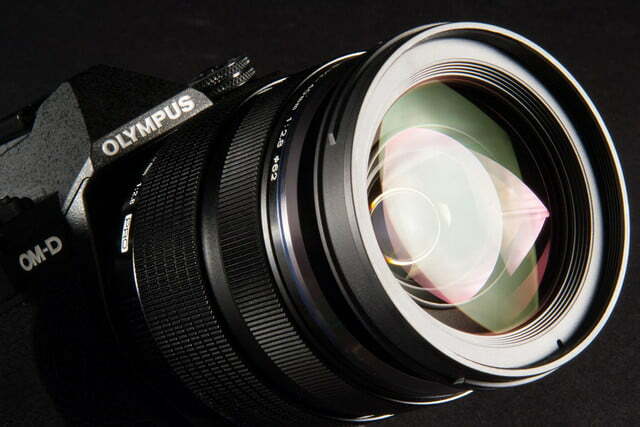 We’ll talk more about the glass in the Performance section below, but the $999 M.Zuiko ED 12-40mm f/2.8 Pro (constant aperture, 3.3x zoom) lens Olympus provided for this review is a beauty, ranking up there with some of the better ones available from Fujifilm and others. Overall, the Mark II feels solid and sturdy, even though it was a bit tight for this reviewer’s hands. The key feature on the front is the Olympus Micro Four Thirds mount. Olympus has close to two dozen prime and zoom options, ranging from the affordable to the seriously-priced M.Zuiko Pro series. 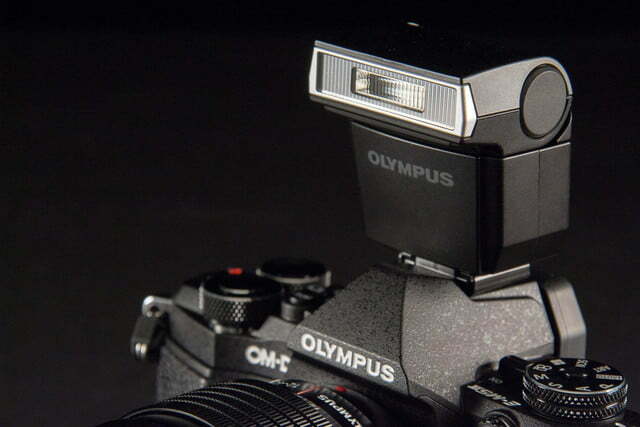 Third-party choices are available as well, so, if you’re buying your first Olympus ILS, you have a good selection to choose from. Also on the front is an AF Assist lamp to help focusing, a covered external flash jack, depth-of-field preview, and lens-release buttons. 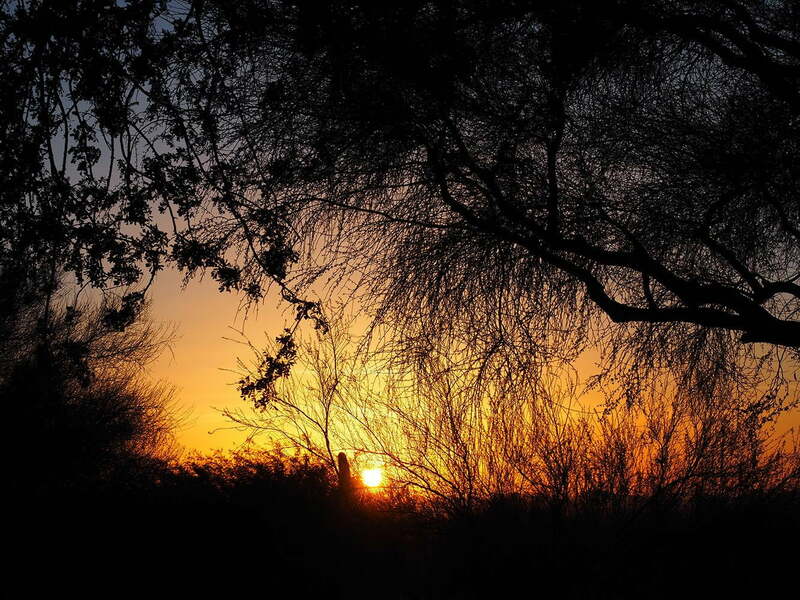 The 40MP images are nice and sharp, as long as the camera and photo subject are stable. Speaking of that flash jack, the Mark II does not have built-in flash. 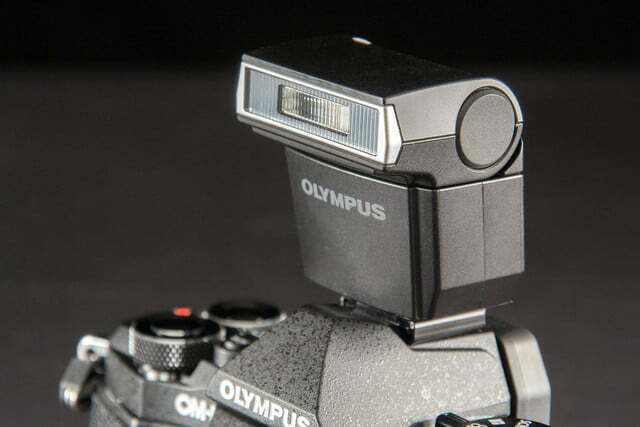 Olympus supplies the FL-LM3 unit that attaches via the hot shoe. As a nice touch, the head rotates for more creative choices. We kept it attached at all times, which made the outfit look clunky, but it’s the rare camera you’re buying just for looks. The reconfigured top is rather clunky too. It’s packed with more buttons than the original and the jog wheels have been repositioned. We found the small buttons difficult to maneuver, but we imagine an owner would get used to it over time. Starting on the far left is the locking main mode dial with the wedged-in power lever next to it, as well as stereo mics. 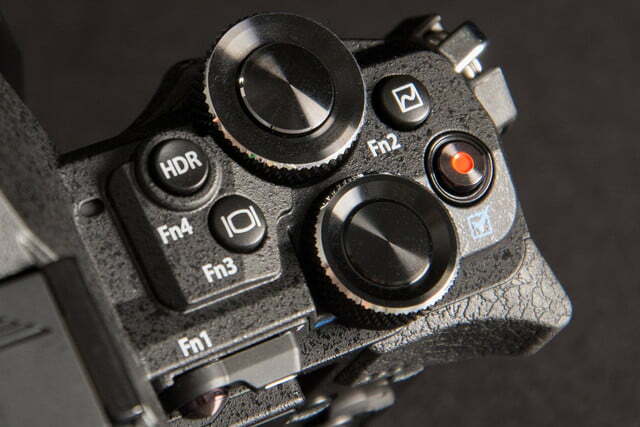 Near the hot shoe are HDR/FN4 and Live View/FN3 keys, two jog wheels, one with the shutter, a movie key, and the FN2 button; FNs are programmable function buttons. That’s a lot of controls packed into a small space but the camera offers a lot of customization, so get ready to delve into the owner’s manual to make the most of it. 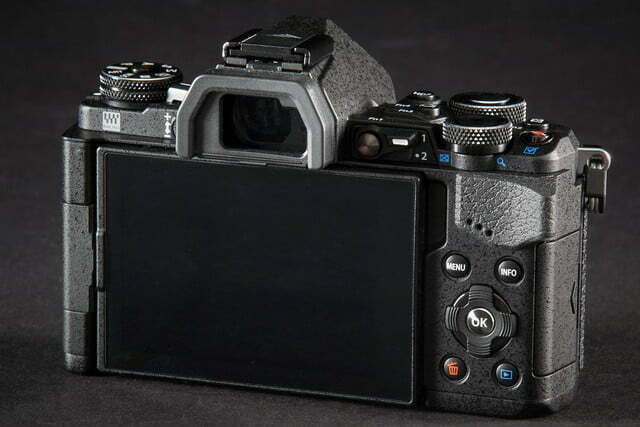 On the back are the 2.36-million-dot electronic viewfinder (EVF) with diopter control, and a vari-angle 3-inch touchscreen LCD (rated 1.04 million dots); both are improved over the original E-M5’s. 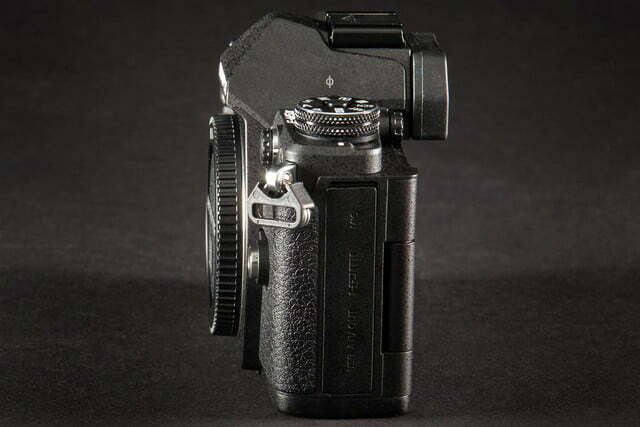 The older LCD could only tilt, while this one can swing outward from the body, making it more like a camcorder. This comes in handy since the Mark II also has improved movie quality (1080/60p versus 30p). The screen has some reflectivity issues in bright sunshine, so we had to use the EVF in those instances – a bummer when you are shooting movies. There’s a three-pinhole speaker here as well. Other controls are the usual buttons surrounding a four-way controller with center OK button. 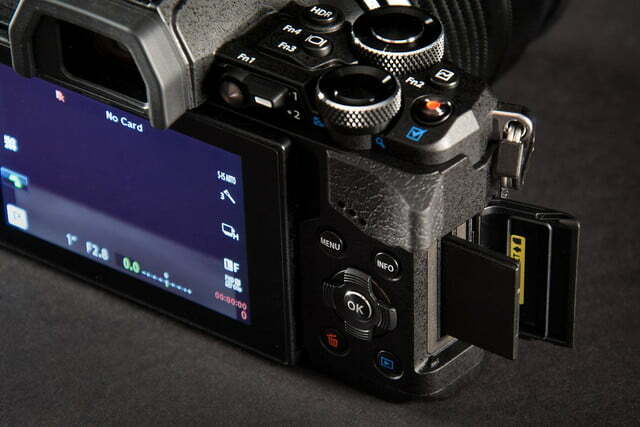 There’s also the Function 1 button and a lever to adjust the parameters by turning the jog wheels (white balance, ISO, exposure compensation). On the right side is the SD card compartment. We recommend using an UHS-1 card for best performance. The left side has mic, HDMI, and USB/AV-out connections; the mic and headphone jacks are new for the Mark II, which are important contributors to the camera’s improved video chops. The bottom has the battery compartment; the power supply is good for 310 shots, a bit below average for mirrorless cameras. Since the Mark II has built-in Wi-Fi – not found on the E-M5 – you can transfer images to a smartphone (iOS or Android) for light editing or uploading to social networks, or operate the camera remotely. Download the Olympus Image Share app, and follow the instructions and scan the QR code that pops up on the LCD. The pairing is relatively simple, and we found it to be better than the average camera app. The box includes the camera body, the add-on flash, various caps and covers, a strap, the battery, and charger with AC cord. 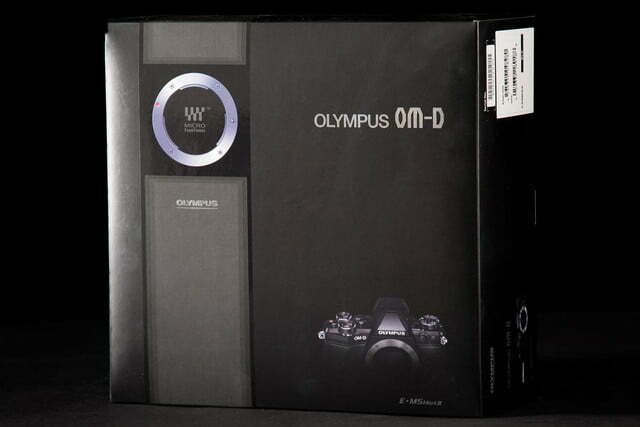 Olympus also supplies a printed basic manual, and the full manual is on the supplied CD. The disc also has Olympus Viewer 3 software (Windows/Mac) for handling RAW files. 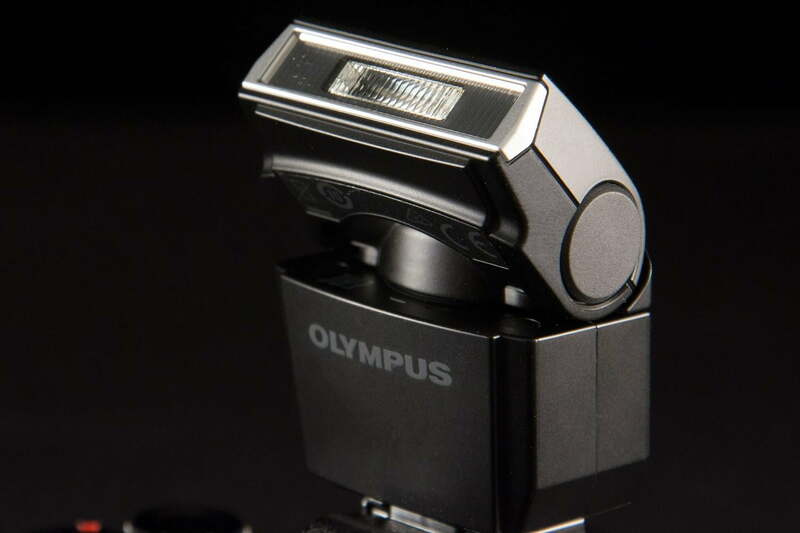 Olympus offers a limited one-year warranty for parts and labor. 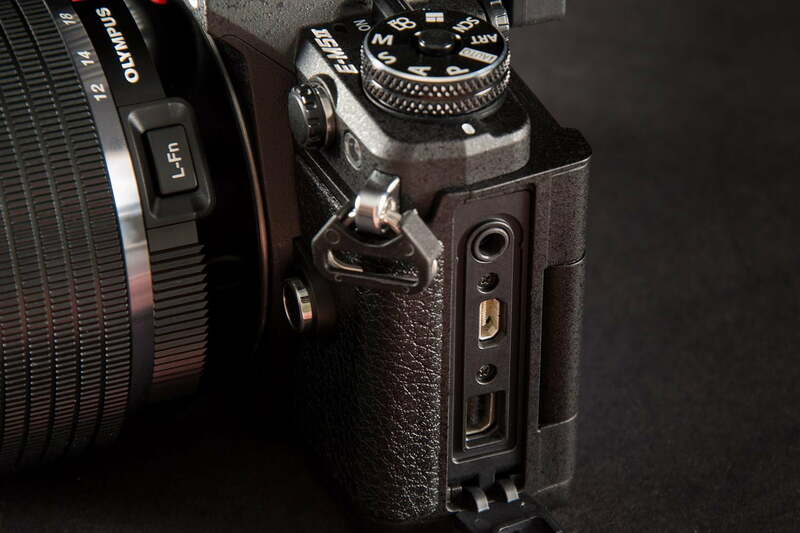 The E-M5 Mark II uses a 16MP Micro Four Thirds sensor. 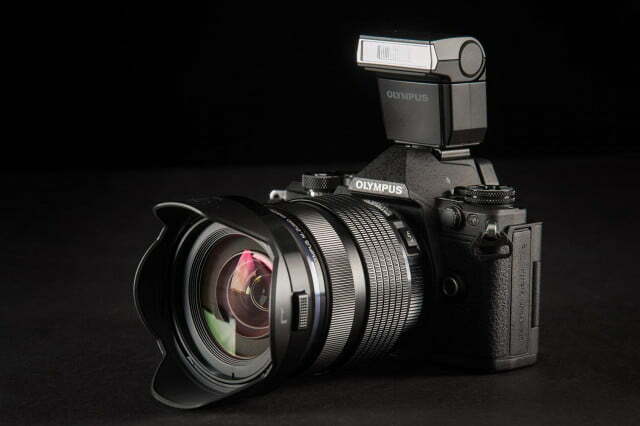 Olympus claims it has been redesigned, but it’s still only 16 megapixels – a figure that seems rather quaint in this era of larger, 24MP APS-C sensors found in competing (and some lower priced) mirrorless and DSLR cameras. One of our favorite models of 2014 is the still-available Sony A6000, which uses a 24MP APS-C sensor and costs $649 (body only). From a purely specs-on-paper view, the Mark II has some serious competition, and that’s not even taking into consideration cameras from Fujifilm and Samsung. Even with this “deficiency,” megapixels aren’t everything, and the OM-D E-M5 Mark II is a very capable camera. 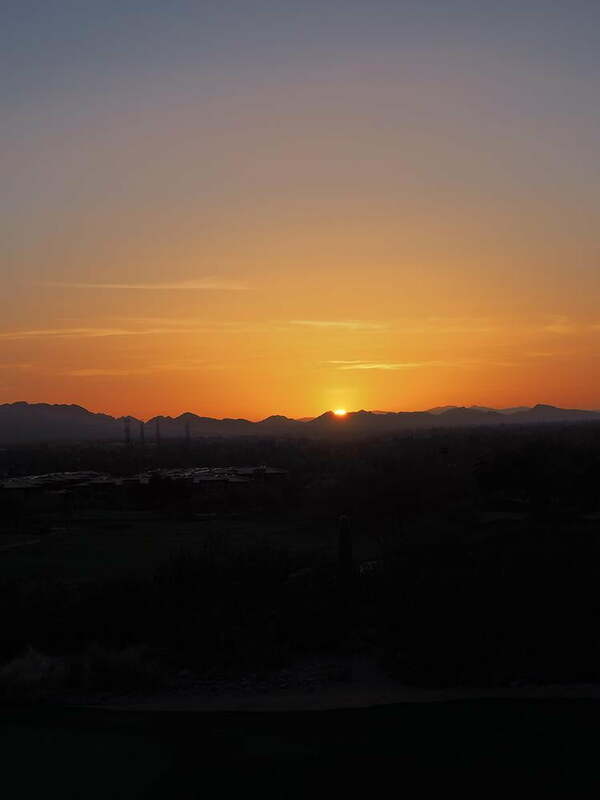 We used the Mark II over the course of several weeks in our Southwest locale. 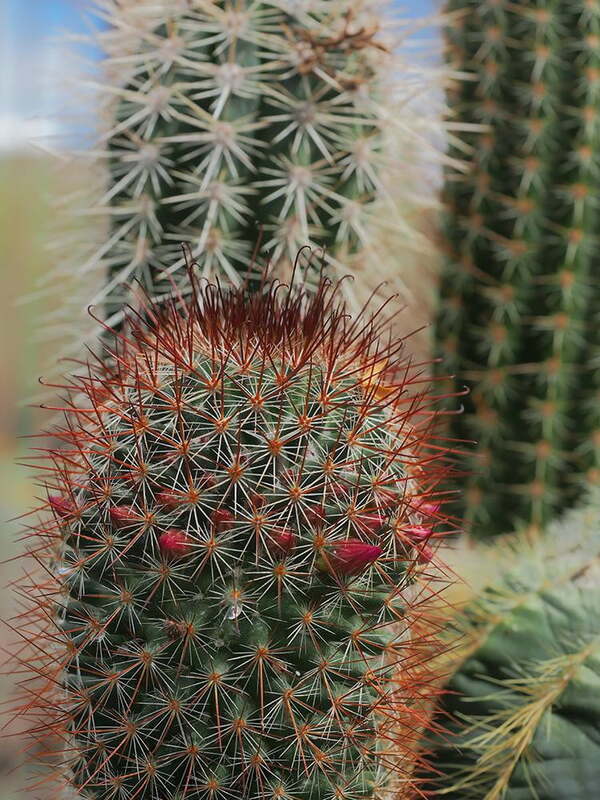 One of the most intriguing new features is a 40MP photo setting called Hi-Res Shot, which we jumped into immediately. 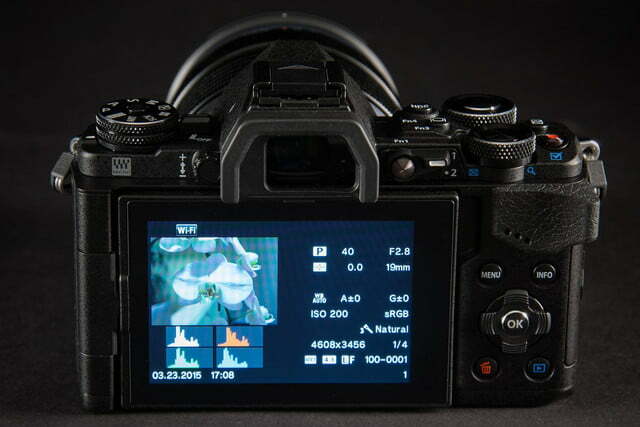 Of course, this isn’t like the Canon EOS 5DS with its 50MP full-frame sensor. 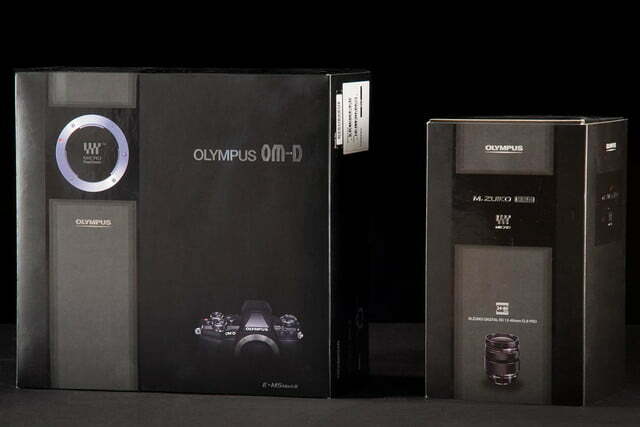 Here, Olympus uses sensor shifting to combine eight images to create the 40MP file. Olympus recommends using a tripod since it takes a few seconds to capture the frames. 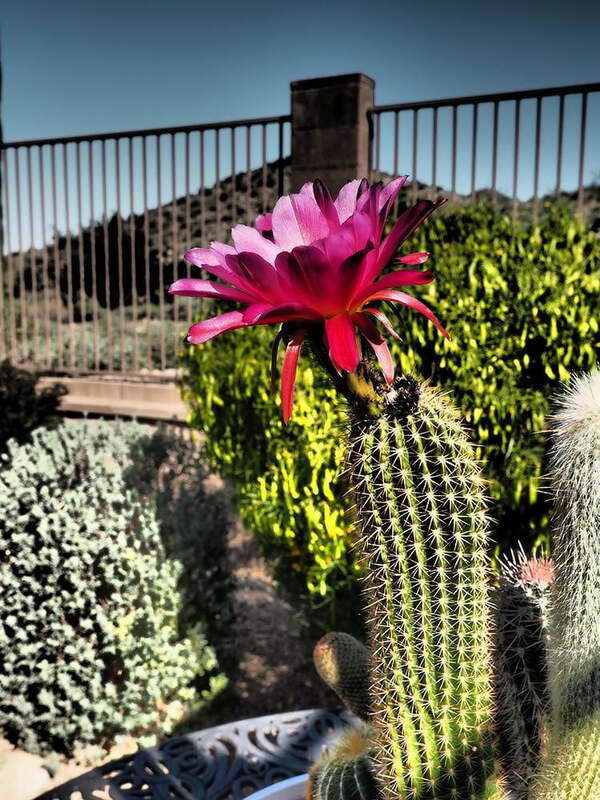 We did so, shooting a desert floral arrangement. First, we did it handheld, just to see if the five-axis image stabilization system could handle the job. It couldn’t, so we then used a Gitzo tripod (see sample). We were quite impressed by this feat. The images we shot were nice and sharp. 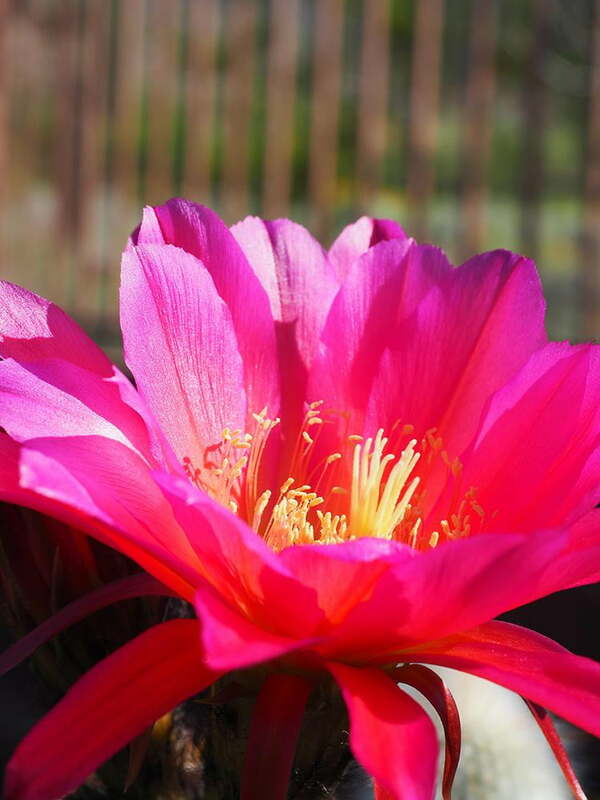 However, shots of flowers – when a gentle breeze hit – were blurry. 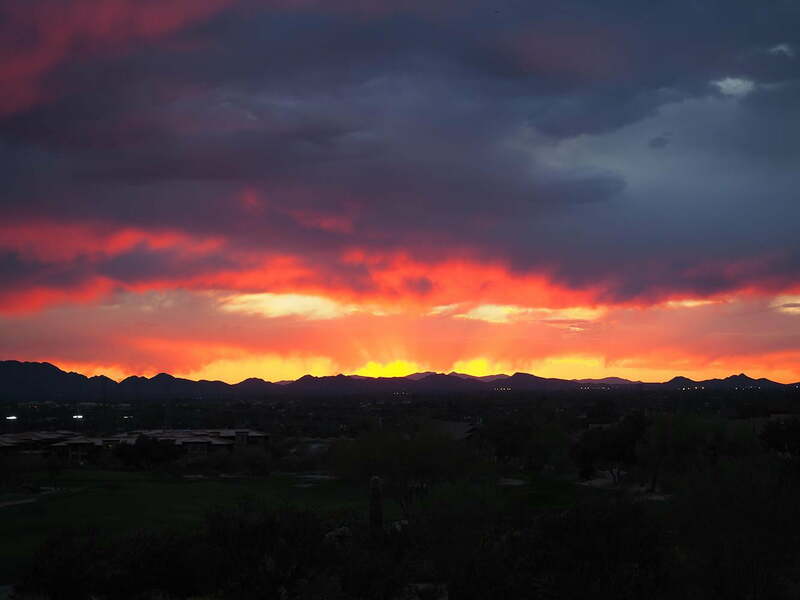 It shows that not only does the camera need to be stable, but so do the objects and subjects being photographed. If you want to take advantage of Hi-Res Shot, be prepared to carry around a tripod or find something stable to rest the camera on. You have to move out of iAuto to use the Hi-Res setting. On the mode dial you’ll also find PASM, Movie, Photo Story (which combines several images), Scene, and Art. There are 19 Scene options and 15 art effects; we’ve always been partial to Dramatic Tone but your choices abound. 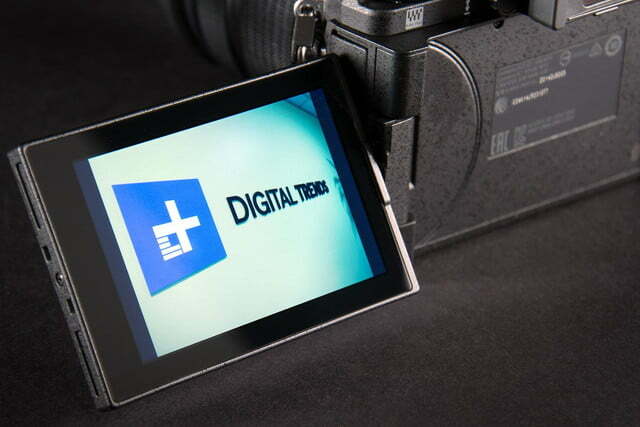 High Dynamic Range, or HDR, is also available through the menu system. Speaking of which, we find the Olympus menu a bit clunky and not intuitive. Again, like the controls, we’re sure first-time owners will get used to the system eventually. 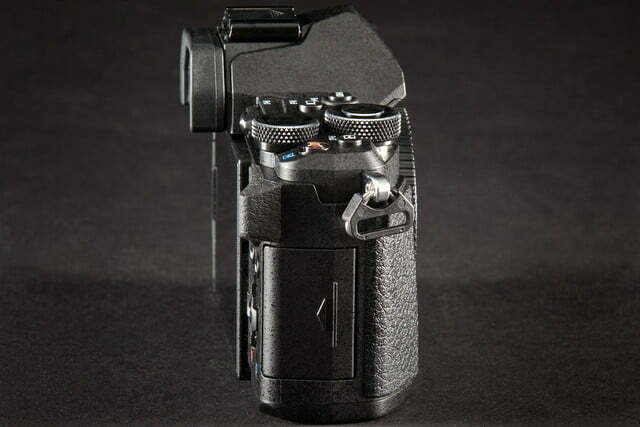 Overall the camera is very responsive with 5- and 10-frames-per-second burst shooting, plus it grabs focus very quickly. The five-axis image stabilization is excellent, on par with the more-expensive Sony A7 (another) Mark II. 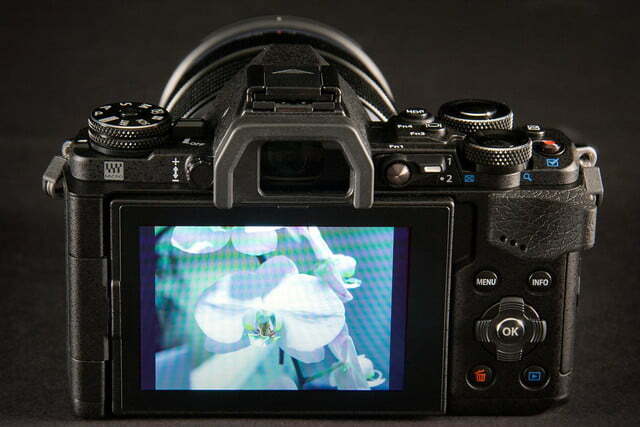 We were impressed with the 16MP images despite the smaller Micro Four Thirds chip. Colors were right on target, as was exposure and white balance. 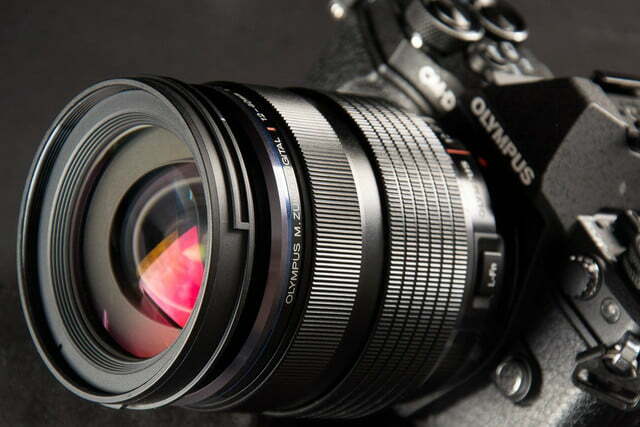 We have to give credit to that M.Zuiko lens, which ranks up there with big-name competitors. We achieved beautiful bokeh (blurred backgrounds) and, as we said, colors were rich and nicely saturated. The Mark II shoots 1080/60p videos versus 30p for the older model. Movie quality is as good as the stills. The five-axis IS really helps with handheld panning and results are quite smooth. Some may knock the camera for not offering 4K video like some Panasonic Micro Four Thirds models, as well as new mirrorless models from Sony and Samsung. Olympus told us that it doesn’t think 4K is ready with consumers yet, so it decided to strengthen Full HD recording. We agree, but we expect the next version to support 4K in some form, since 4K HDTVs should become more common. The camera has a native ISO range of 100 to 25,600. Olympus is to be commended here: Noise is kept well under control to 8,000 and even the max setting is usable at smaller sizes. In terms of digital noise handling, this model is definitely one of the better mirrorless performers, and even holds up to larger-chip competitors. 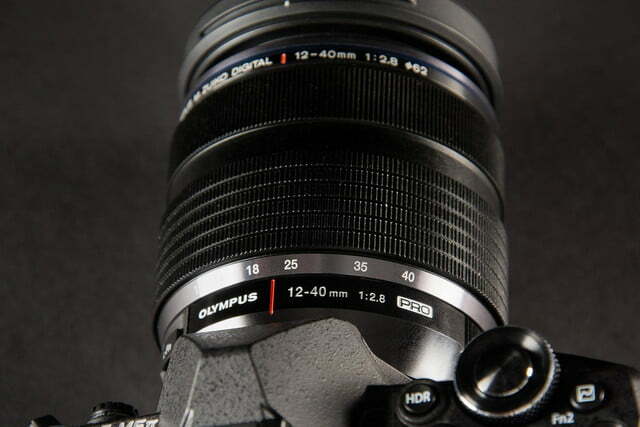 To get the most out of the E-M5 Mark II, use one of Olympus’ M.Zuiko Pro lenses, like this 12-40mm we used in our review. If regular camera bags aren’t stylish enough for you, stash the E-M5 Mark II in this tote from Olympus. Samsung PRO cards aren’t only capable of supporting fast speeds, but they are incredibly rugged too. They can withstand high and low temperatures, and are waterproof. 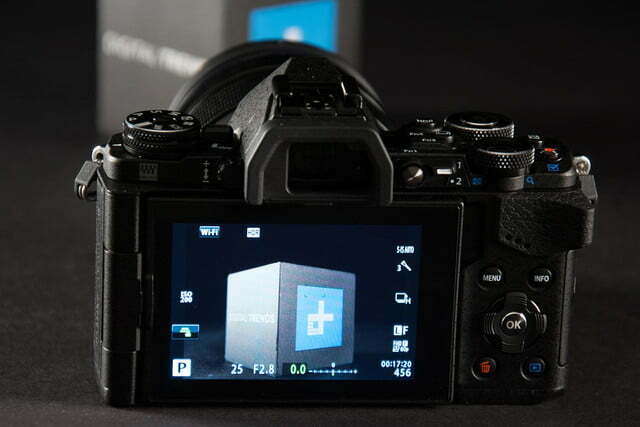 The new E-M5 Mark II is an excellent camera, and deserves an Editors’ Choice award. 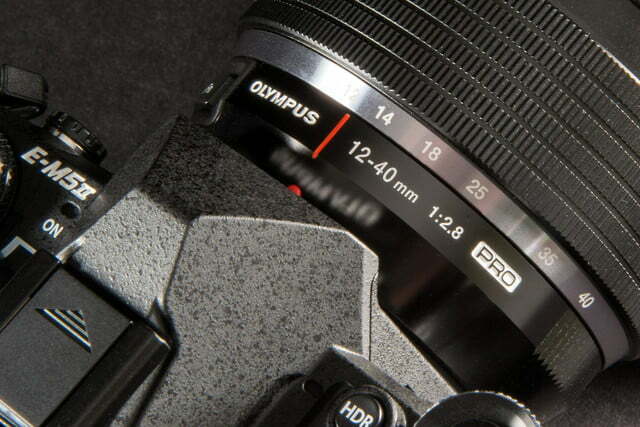 There are very few flaws, and the combo of the body and the M.Zuiko Pro lens is a beauty. 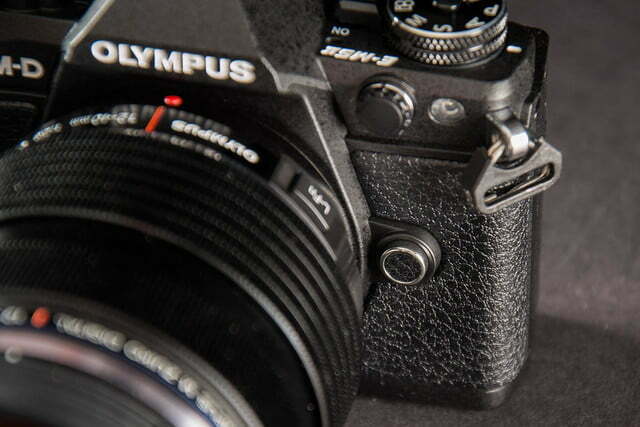 If you’re an existing Olympus MFT user, it’s a terrific upgrade. 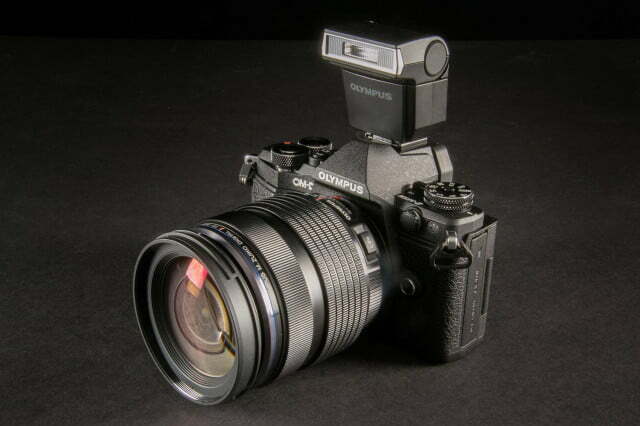 If you weren’t fans of Olympus mirrorless cameras before, the Mark II will change your mind. Unfortunately, the body-and-lens combo puts the camera in the $2,000 category, and there’s a lot of competition in that mirrorless space from Fujifilm, Samsung, and Sony, and that’s not counting traditional Canon and Nikon DSLRs. 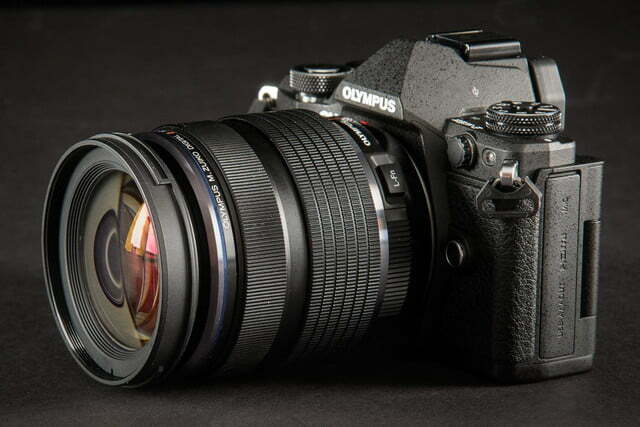 But this is a good problem to confront: Olympus fans will be thrilled with the Mark II and other photographers should put it on their shortlist.